Curtis T. Hill, Jr., a Republican, currently serves as Indiana's 43rd Attorney General. Born and raised in Elkhart, Curtis is the fifth and youngest child of Curtis T. Hill, Sr. and Eleanor M. Hill. Elected in 2016, Curtis T. Hill Jr. serves Indiana as Attorney General. With 1,643,689 votes cast for Hill, Hoosiers made him the top vote-getter of any elected official in state history. As Indiana’s chief legal officer, Hill oversees a staff of more than 400 employees located across the state in various capacities. Hill has made clear his agenda focuses on four priorities: roll back federal overreach; protect families from drugs and violent crime; safeguard consumers from fraud and scams; and inspire youth to pursue meaningful lives. In November 2002, Curtis received 78% of the vote and was elected prosecuting attorney for Elkhart County, succeeding his predecessor who held the position for 28 years. Armed with an ambitious platform, he immediately set out to transform Indiana’s largest part-time prosecuting attorney’s office into a full-time professional and well respected centralized law enforcement agency. Re-elected in 2006, 2010, and 2014, Curtis served four terms. Curtis is recognized state-wide as setting the standard for successful prosecution of serious and violent offenders. While he is well known for taking a hard line against career and hardened criminals, he has also initiated creative programs in alternative justice allowing the criminal justice system to focus the bulk of its resources on more significant crimes, while still exacting accountability for lesser offenses. Curtis has testified before Congress on “Methamphetamine in the Heartland” and served as a presenter for the Northern Indiana Methamphetamine Summit Sponsored by the Office of National Drug Control Policy, Executive Office of the President of the United States. Earning his Bachelor of Science degree in Marketing from the Indiana University School of Business in Bloomington, Curtis went on to pursue his Doctorate of Jurisprudence from the Indiana University School of Law where he graduated in 1987. He began his legal career as a part-time deputy prosecuting attorney for Elkhart County where he also maintained a private general practice of law. As a deputy prosecuting attorney, Curtis gained his reputation as a skilled litigator in the prosecution of homicides, child abuse, and the distribution of illegal drugs. The Hill family in their home downtown of Elkhart, IN. 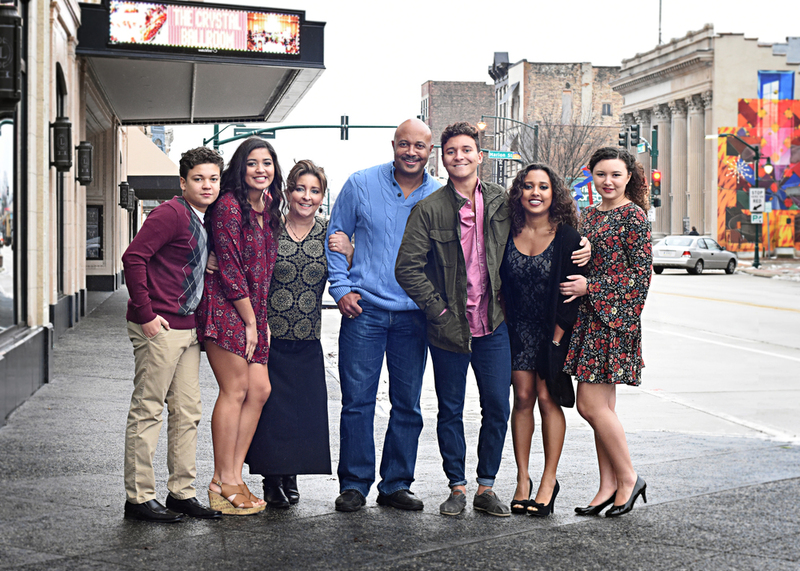 The Hill family together at The Lerner Theater during the holidays. As a theater family, many Hill family members have performed at Lerner Theater productions in Elkhart, including Curtis. 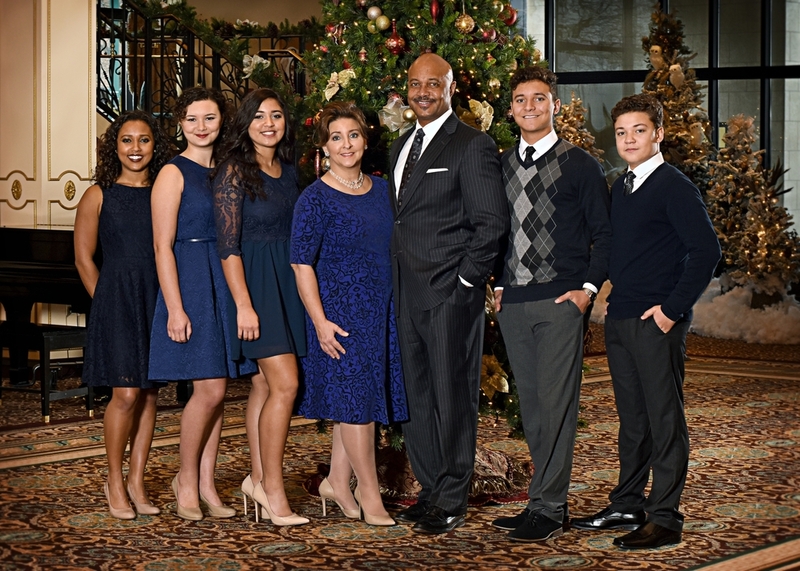 Curtis and his wife, Teresa, have five children: Halle, Mallory, Curtis, Bella, and Abraham. His commitment to public service is rooted in his hope that his children -- and all children -- will live in a safer, happier and more vibrant world. Curtis enjoys an active lifestyle, keeping fit through regular exercise and tennis. He has also attained a second degree black belt in Tae Kwon Do and a black belt in Hapkido. family affair. Curtis and Company have performed in a variety of local community theater productions together. Curtis and his family attend First Baptist Church in Elkhart.